Meditation is the art of training your mind. Yoga is the way of bringing harmony between your body and mind through various postures and breathing techniques. As you feel a sense of calmness, you can enjoy enhanced mindfulness and better ability to concentrate. Thus, yoga sets the tone and plays a key role in your preparation for meditation. Patanjali, the founder of yoga, suggested eight steps to unite your body, mind, and soul and accomplish your quest for physical, mental, and spiritual wellness. The first four steps – Yama or self-conduct, Niyama or self-discipline, Asana or postures, and Pranayam or breathing control – help attain control over the body and promote self-consciousness. These also prepare you to practice the next four steps – pratyahara or self-contemplation, dharana or concentration, dhyana or meditation, and samadhi or the state of meditative consciousness. Each step leads to another and helps in your preparation for meditation in an impactful mode. Thus, there is a point of convergence of yoga and meditation. While meditation is a part of the whole process, yoga postures and breathing techniques empower you to practice meditation in a powerful, meaningful, and undisturbed way. When you practice yoga, it facilitates your mastery over the body and the mind, an important milestone during your preparation for meditation. Yoga postures ensure that you gain self-discipline and learn to stay away from disturbances while allowing your mind to take the route of mindfulness and self-analysis. Thus, you find a privileged way to strengthen your ability to deal with senses, control the mind, and prolong your ability to concentrate. Mental relaxation achieved through breathing techniques also helps enhance your ability to concentrate during meditation. Yoga ensures you stay in a state of reduced anxiety, increased tolerance, and keen mindfulness, helping in your preparation for meditation. When you attain harmony between the body and the mind through yoga, you stand to have an uninterrupted flow of concentration, which prolongs your ability to meditate. As concentration boosts your strength and stamina to focus, you find it easier to reach and remain in a state of stillness. Yoga postures and breathing techniques condition your body and mind, and such conditioning is pivotal to your preparation for meditation. It is not easy to sit still without a complete control over your feelings. But with yoga, you are able to discipline yourself physically and psychologically and find it easy to get into the meditation mode. The aim of meditation is to train the mind. You are able to focus your attention, feel unruffled, and experience mental clarity about your life. Its essence lies in redirecting your consciousness inward. However, physical and mental tension prevents you from turning inward and hinders the free flow of energy in your body. Yoga postures ward off tension and stimulate the body’s energy flow that helps improve your mind-body connection. With calmness, vitality, and inner harmony in place, you can find meditation more accessible and practice stillness easily. Yoga breathing techniques are a cornerstone of your preparation for meditation. Breathing exercises support your meditation practice. As you deepen your breath, your body becomes stable and you feel more comfortable and prepared to meditate. As attention becomes focused on breath, you can control your thought process and ensure complete relaxation. Simultaneously, it brings your energy inward and upward. This supports your preparation for meditation and efforts to attain the state of peace and bliss. Can Meditation Help Improve Relationships? Gift cards make a wonderful gift for friends and loved ones as they may be used on classes, products, services, and events at the Center. GIFT TO YOUR LOVED ONES NOW! It’s now easier than ever to stay connected with The Open Mind Center! You can connect with us on popular social media platforms, such as ...Read More! 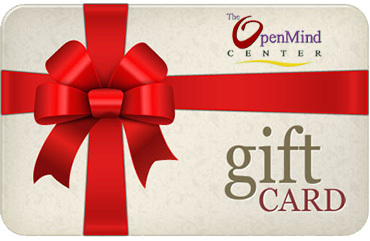 The Open Mind Center is exited to announce the launch of our new website. ...Read More!